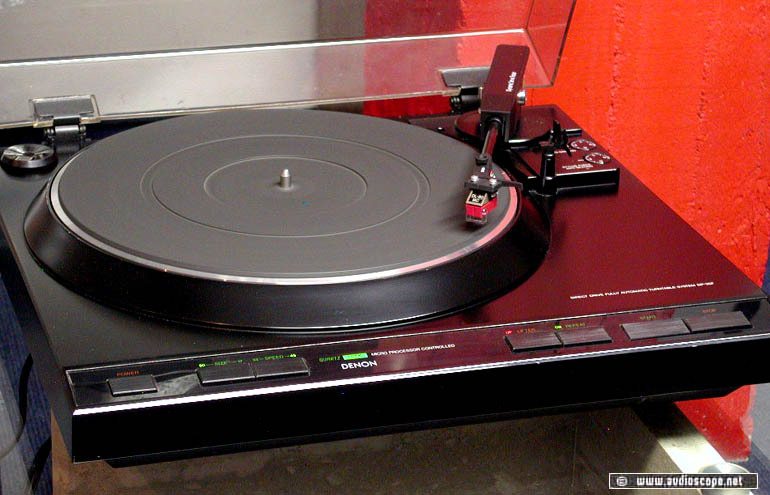 Denon DP-35F Turntable for sale. Record Player in good condition, shows minimal wear only. This unit is full electronically controlled and direct driven. It comes with a new Audio Technica AT 95 pickup or a used Denon DL80 MC, other pickups on request.